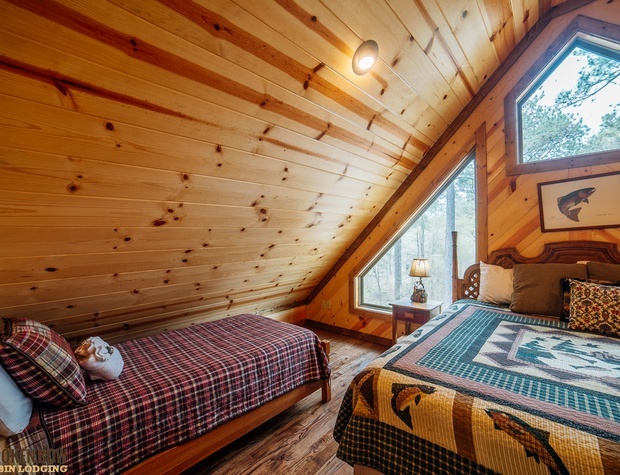 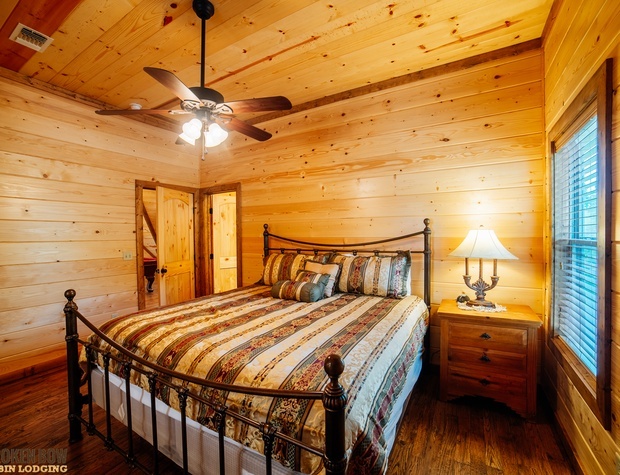 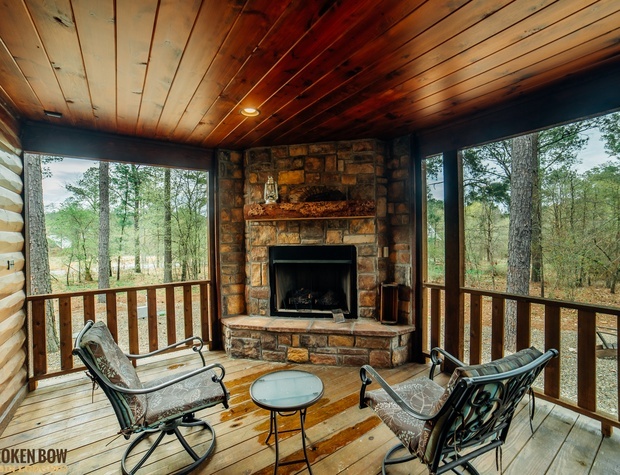 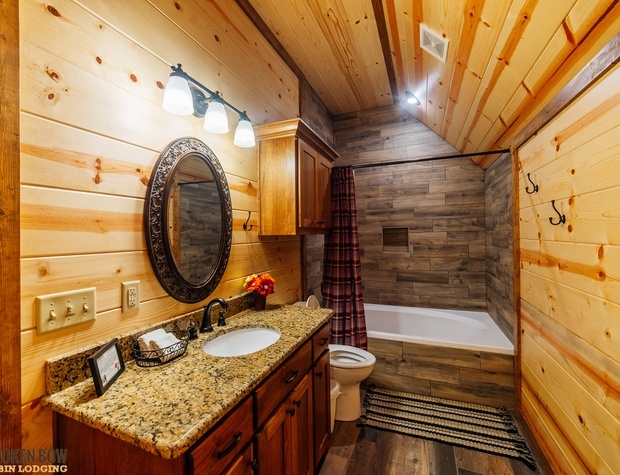 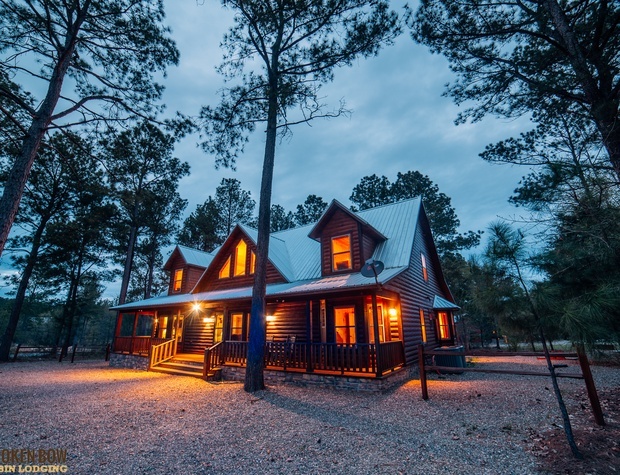 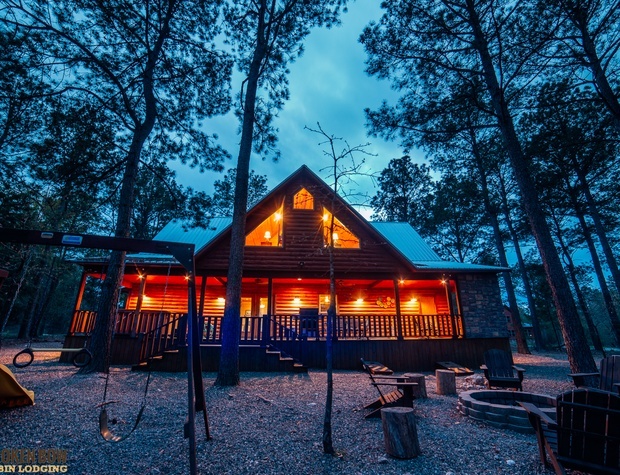 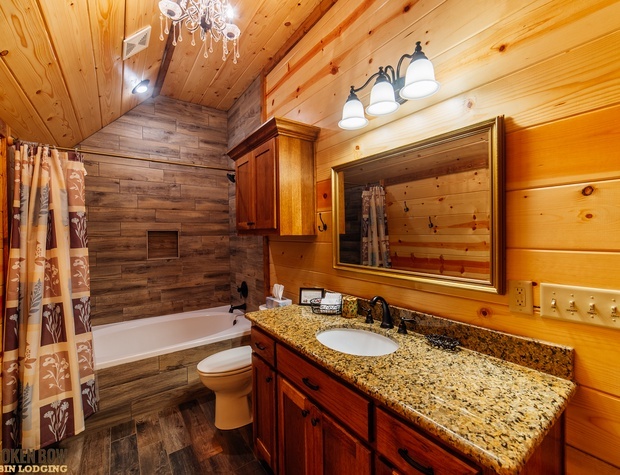 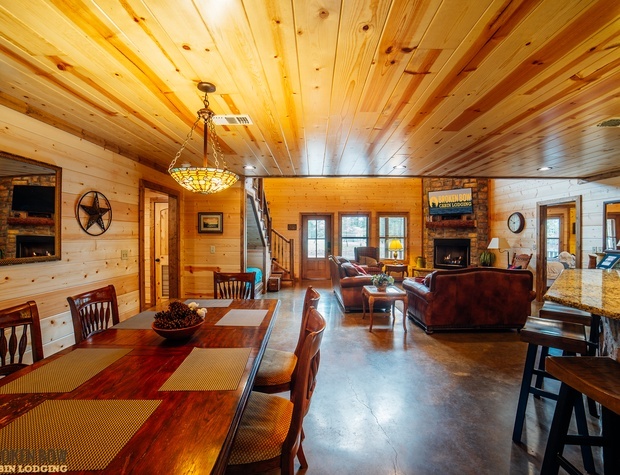 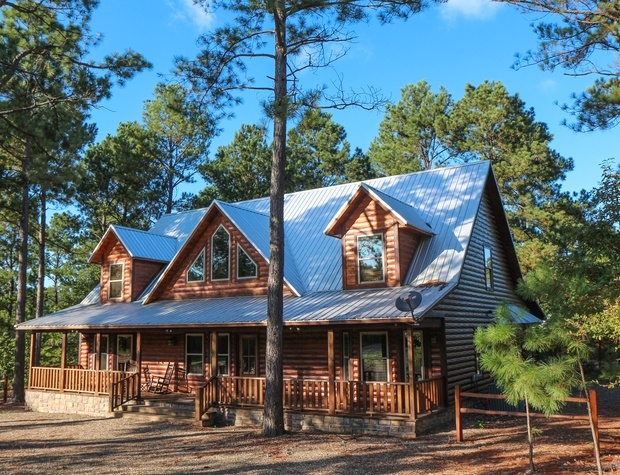 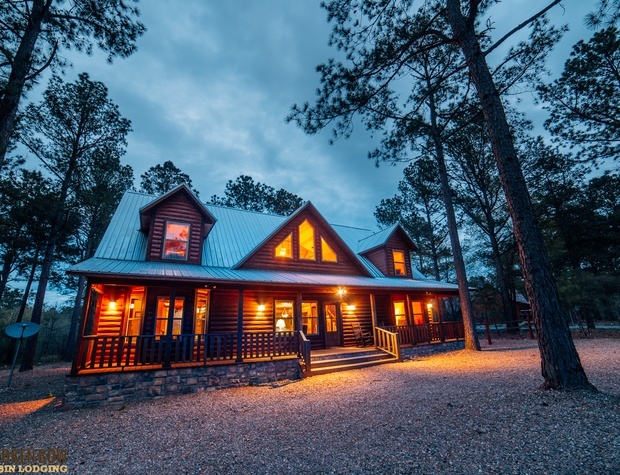 TIMBER HILLS LODGE IS A BRAND NEW LUXURY CABIN LOCATED IN THE HEART OF THE BEAVERS BEND AREA. 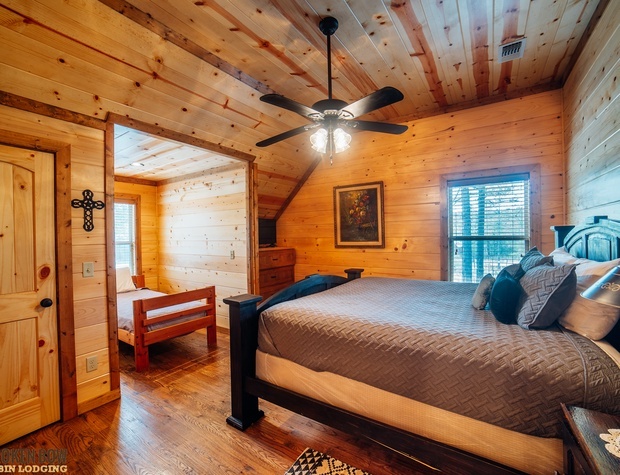 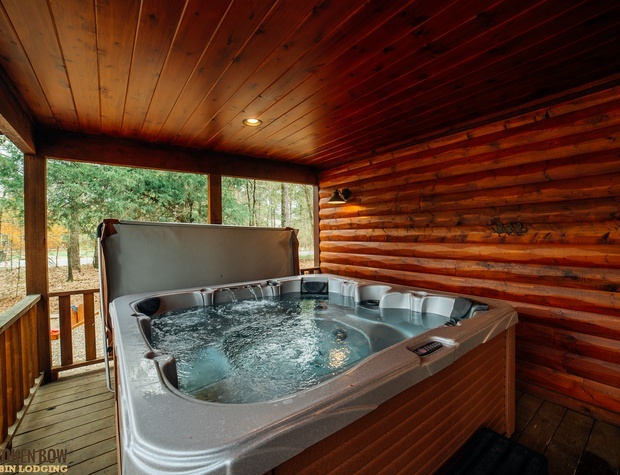 Featuring 6 Kings, 6 Twins, a Queen Airbed and a Twin size sofa sleeper, the cabin easily accommodates 21 guests in the wilderness of Beavers Bend! 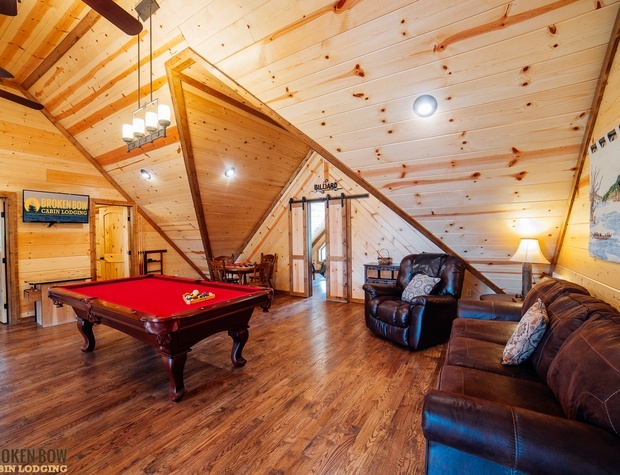 The cabin also offers a large game room with Pool Table, Poker table and an Arcade Cocktail table with 60 classic games. 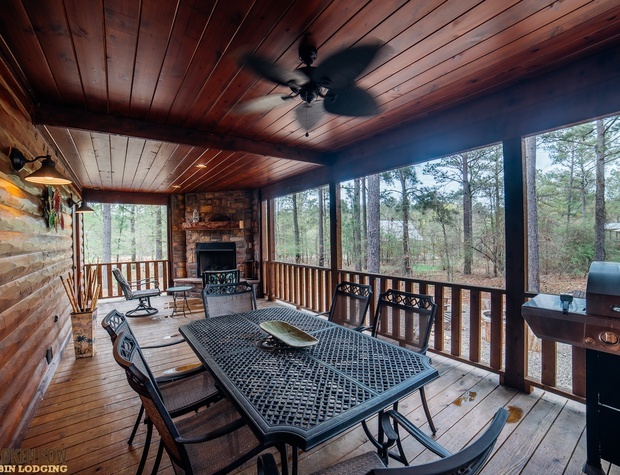 Timber Hills Lodge sits on a large corner lot with plenty of flat outdoor space, great for outdoor entertainment. 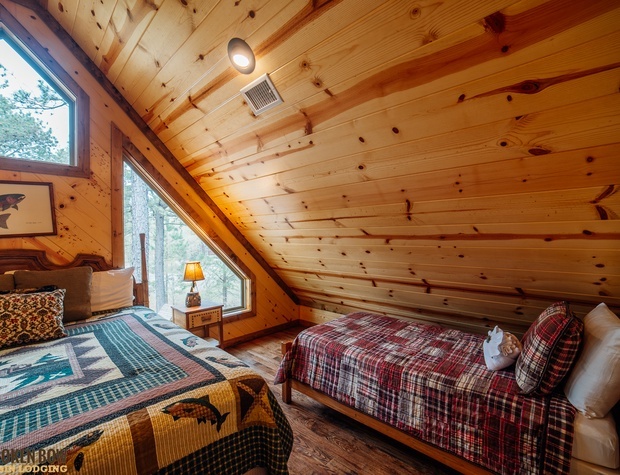 Dear Haven is a 1 bedroom beside Timber Hills Lodge for that couple in your group needing their own private space just a moment walk away. 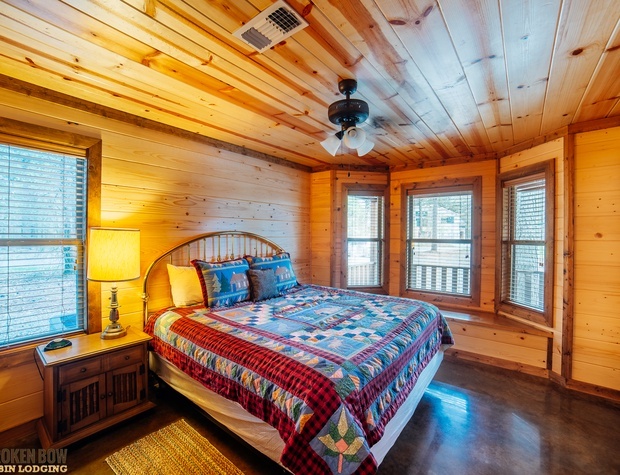 Windmill Cottage is also just a stones throw away and offers 2 king suites plus 2 sofa sleepers to easily accommodate 8 more of your friends and family. 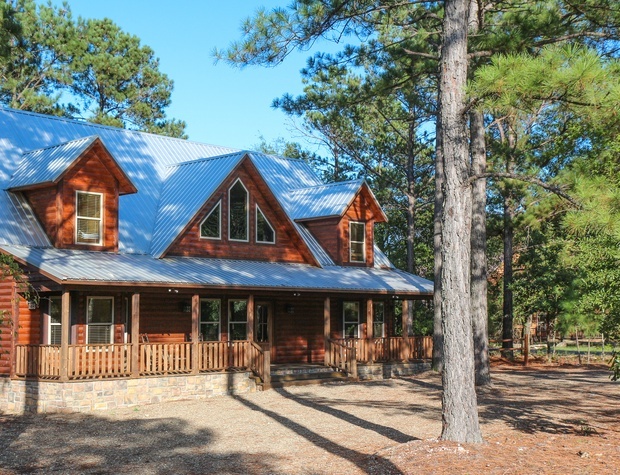 Kainatobe Trails offers paved roads for walking, biking and is safe for transporting your boat to and from Broken Bow lake. 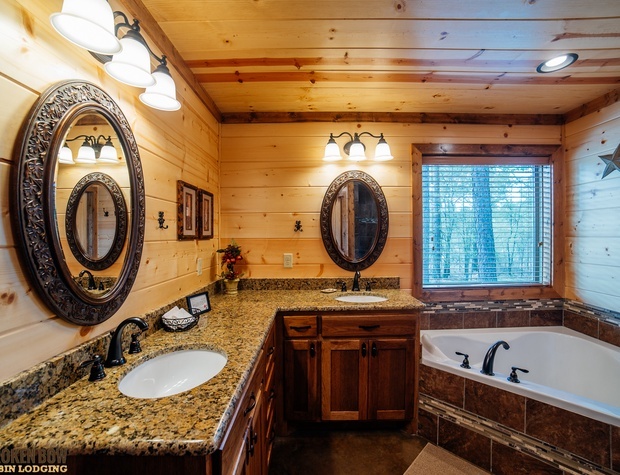 Timber Hills Lodge also offers ample parking and large space for storing boats. 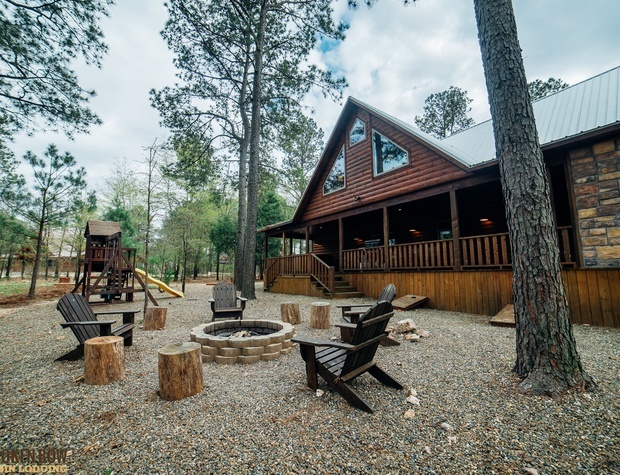 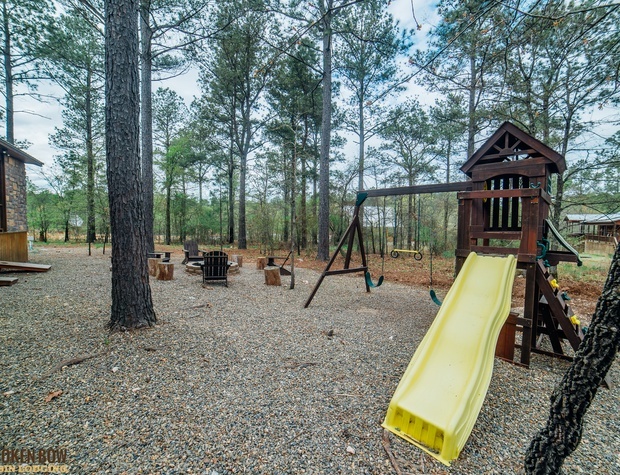 Timber Hills Lodge is conveniently located and within walking distance to: Girls Gone Wine, Grateful Head Pizza, Abendigos, Beavers Bend Brewery and the Blue Rooster. 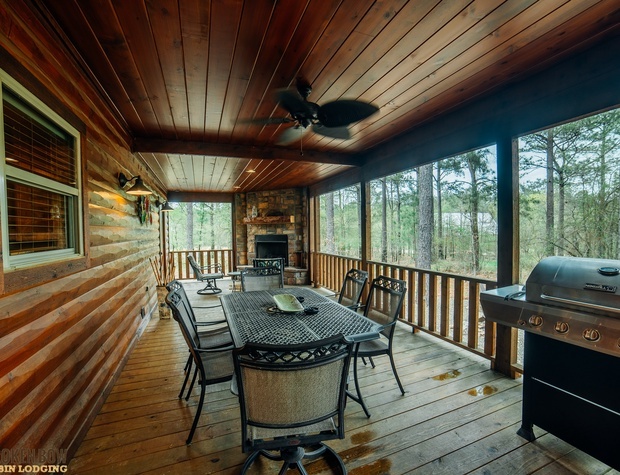 Shuck Me Oysters, Shirmp and Fish, Beavers Bend and Broken Bow lake are also minutes away. 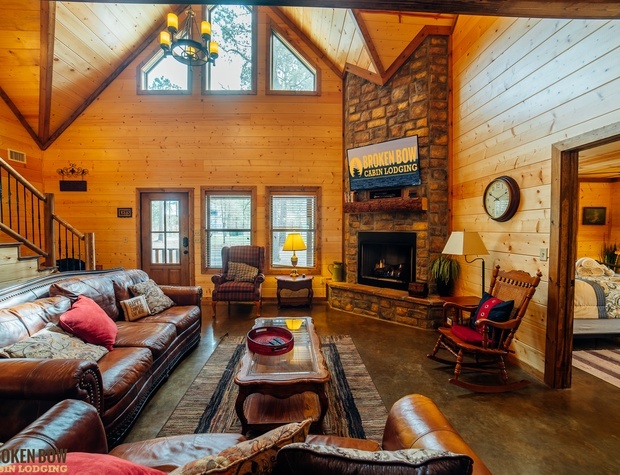 Guests will enjoy the floor to ceiling, stone fireplace with large flat screen TV, while lounging on the comfortable leather sofas in the large family room at Timber Hills Lodge. 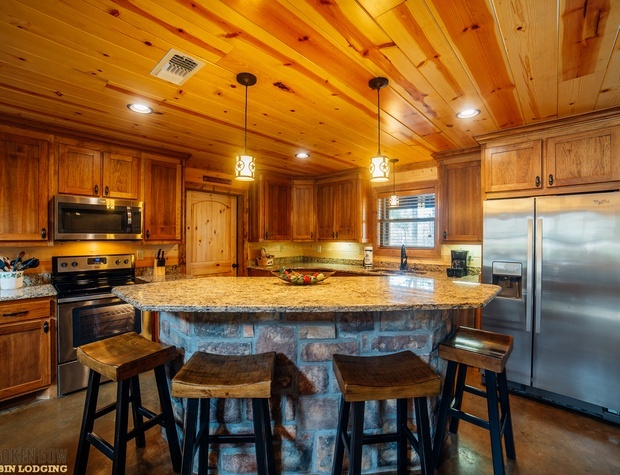 The open kitchen area with custom Hickory cabinets, stainless steel appliances, granite countertops, large island and vintage claw foot dining table is perfect for large group dinners. 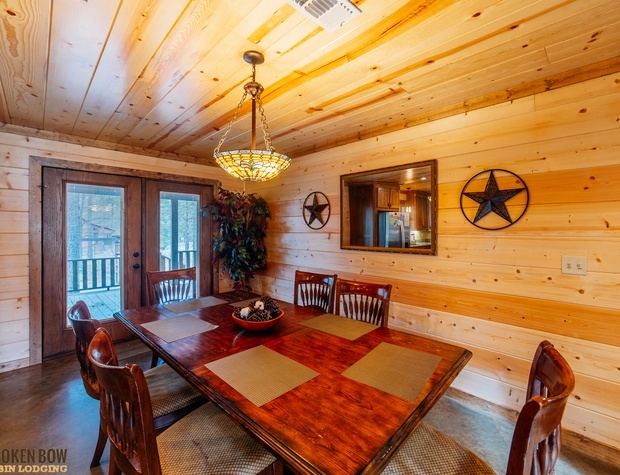 The kitchen is fully stocked with everything you need to prepare a large meal for your family and friends. 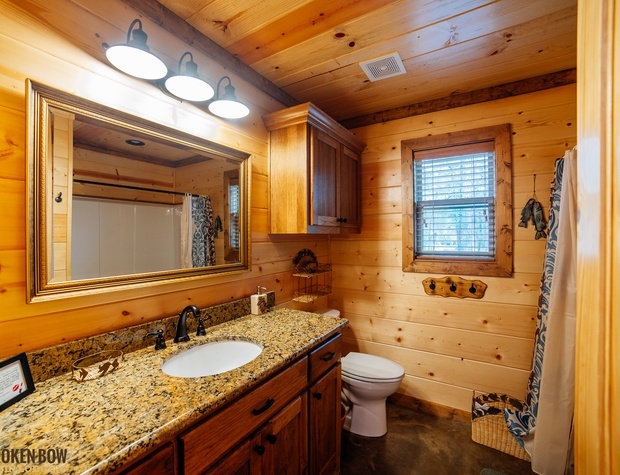 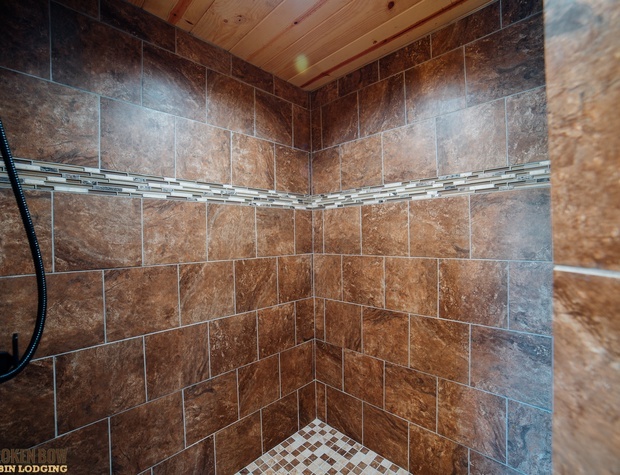 King Master with private bath, double vanities, Jetted tub and large walk-in tile shower. 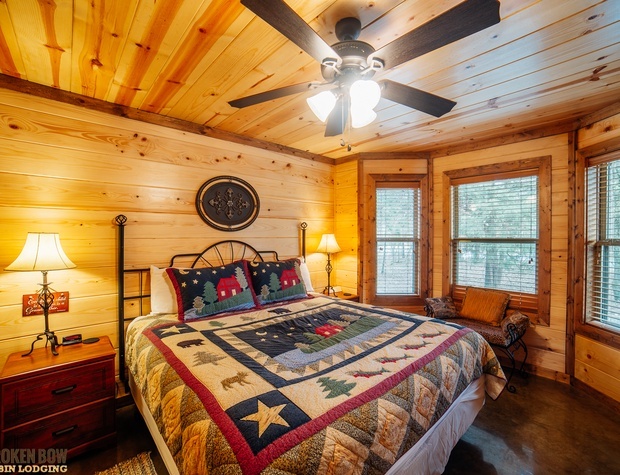 1 King Master with a twin in the dormer, private bath, double vanities and a walk-in tile shower. 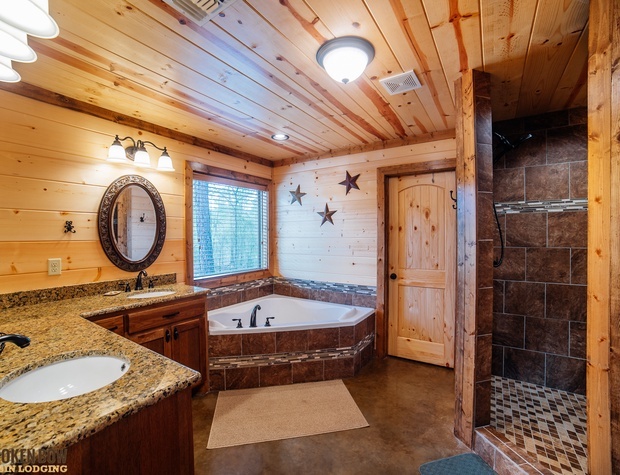 1 King Master with a twin in the dormer and an adjacent shared bath. 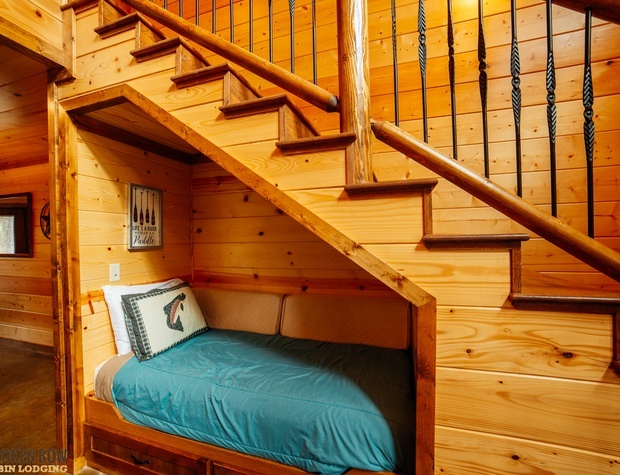 There is also a small bunk room with 2 more twins shaing the bath. 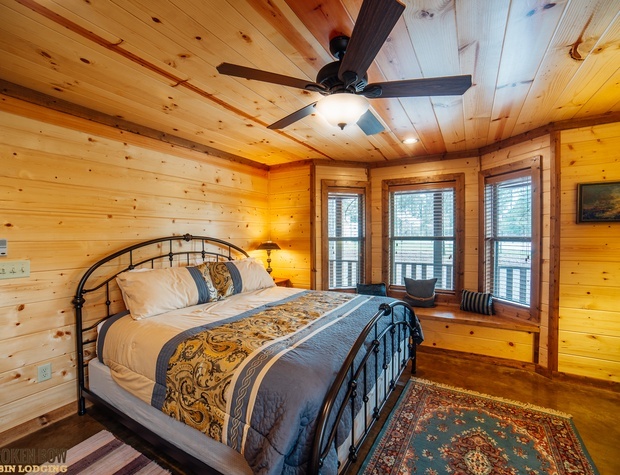 The 6th King bedroom has glorious windows allowing tons of natural light. 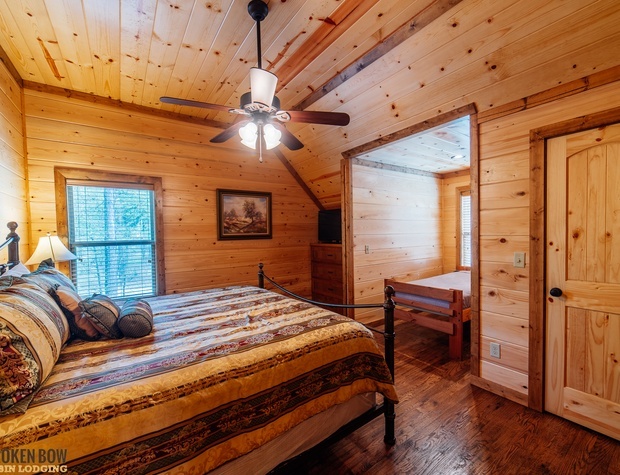 It also has 2 twin beds for additional guests. 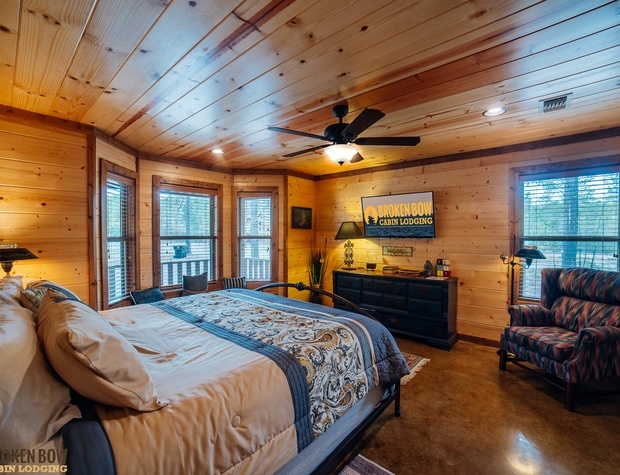 There is an Airbed and a Twin pull out sofa sleeper for an additional 3 guests. 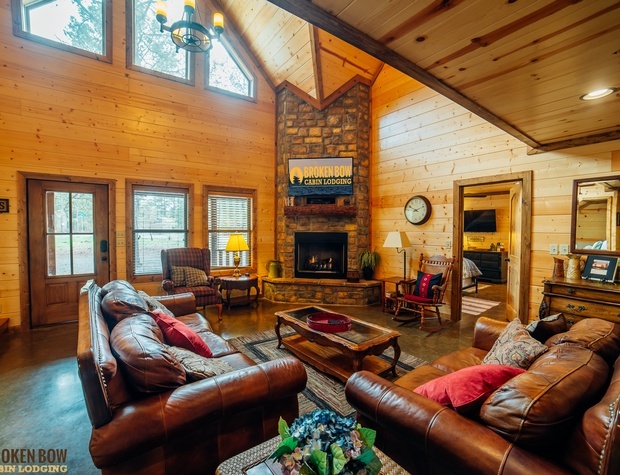 Timber Hills Lodge offers FREE WIFI. 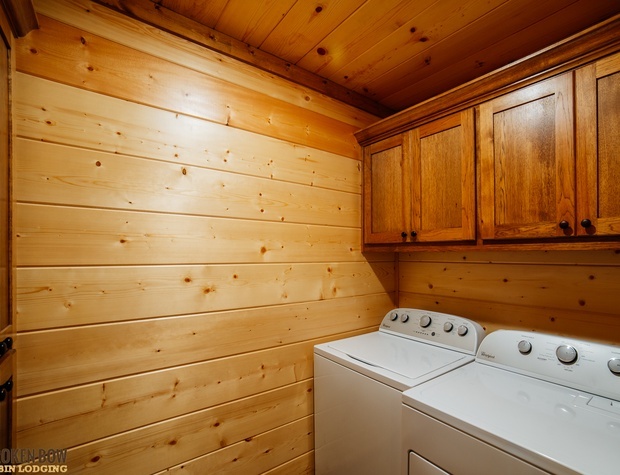 BBCL is not responsible for the speed or reliability of the internet signal from the service provider. 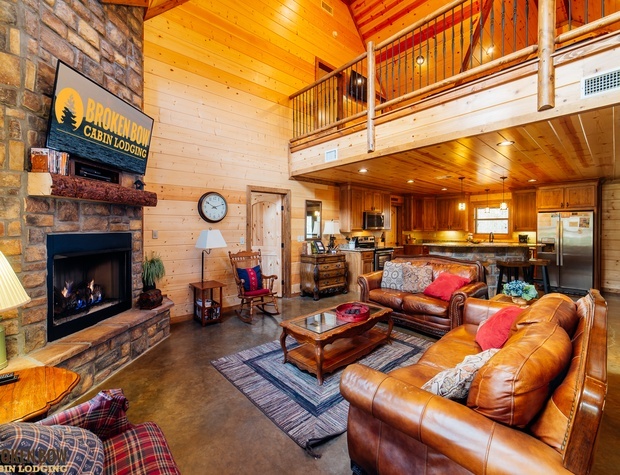 Larger dog breeds must be approved by office.